The Zombie Popcorn Carnival starts June 15 and there are a ton of great designers offering brand new exclusives among the carnival rides! 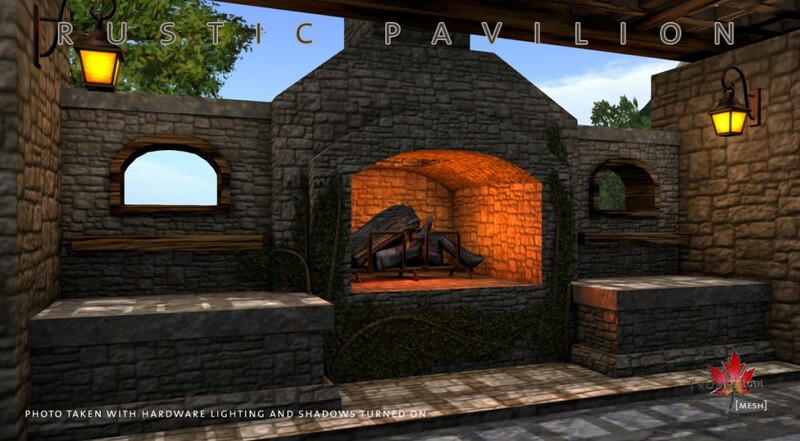 Here’s our offering – the new Rustic Pavilion, beautifully baked, super low prim and a great functional outdoor space for your entertaining needs. 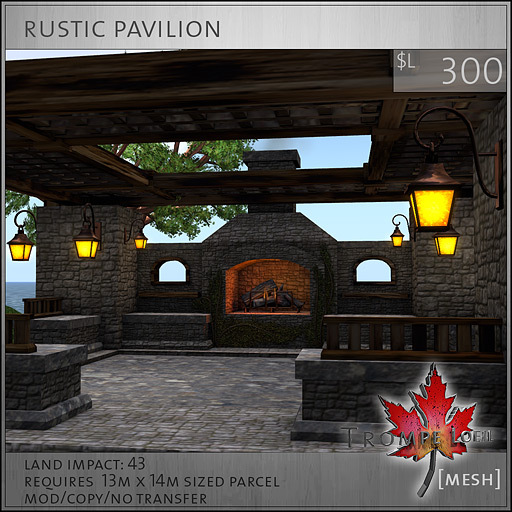 This all-mesh structure is carefully designed to offer accessibility with a great low prim count. The fireplace features animated mesh flames and a soft warm glow, while the included hanging lamps are all owner-only touch to turn on and off. Its mod/copy, so feel free to move or remove the lamps as you wish. 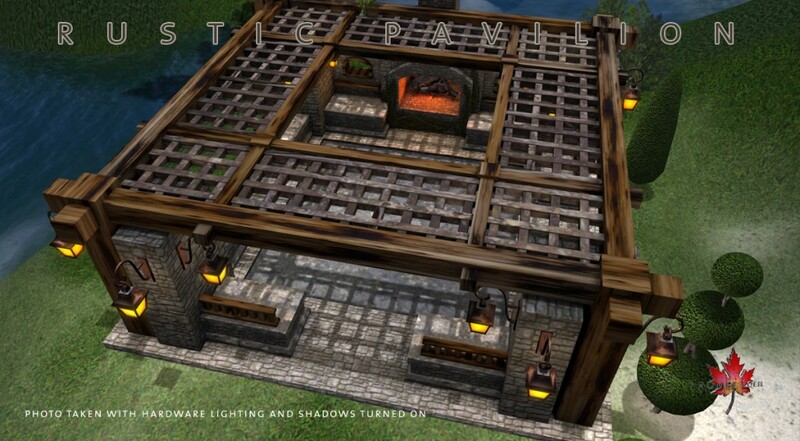 The crosshatched roof looks fantastic with hardware lighting and shadows turned on! 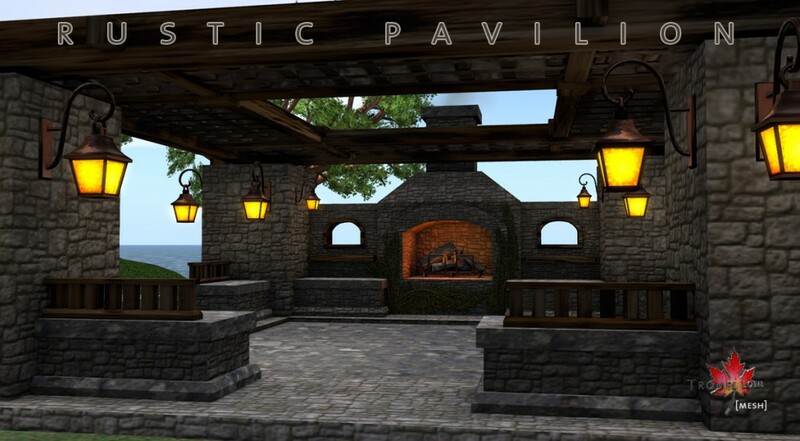 The Rustic Pavilion is only available at the Zombie Popcorn Carnival starting June 15, so make sure you stop in and check out all the fantastic exclusive offerings while you explore the rides and games.